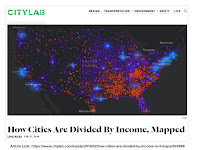 Last week I found a City Lab article titled How Cities Are Divided By Income, Mapped , which uses ESRI story maps to show the income inequality in cities across the USA. 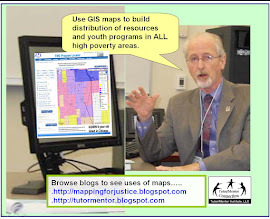 At the right is a screen shot of the ESRI story map. For those who are concerned about these gaps, and the well-being of people living on the poverty and low-income side, these articles will add ammunition to your efforts. 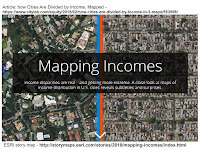 Here's another map, that I learned about from my ChiHackNight network. This shows population changes in US cities from 1990 to 2010. The graphic at the left is a screen shot showing the Chicago region. 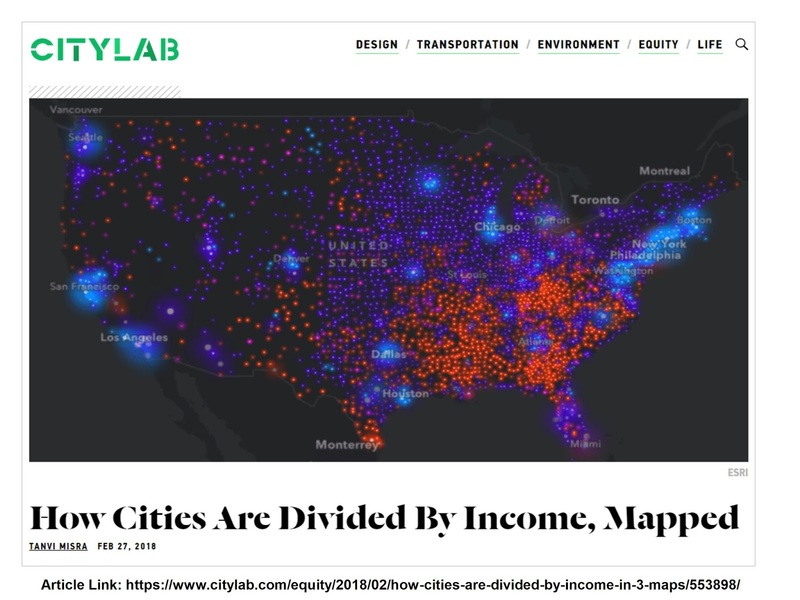 Green dots are cities with population gains and red and pink are cities that lost population. Click on any dot and see the gain or loss. For those studying poverty and income equality, as well as racism, education, violence, etc. the population changes may add some additional information to your analysis. 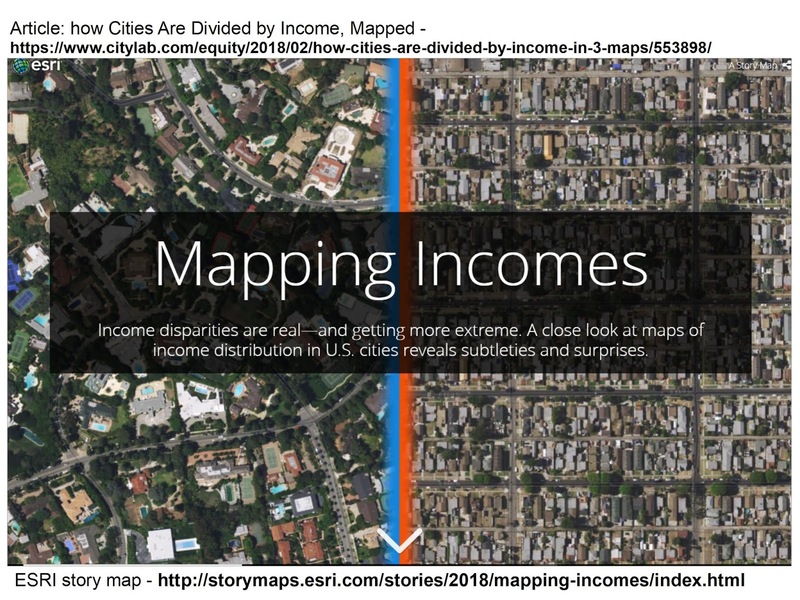 For any activist, these articles will demonstrate ways to embed maps into stories, with the goal of helping you draw attention, resources and solutions to places where the maps show a need for extra support.